Walt Disney World Resort, or Disney World, in Orlando, Florida is one of the best theme parks in the world. It provides a wide range of entertainment alternatives for hundreds of thousands of visitors each year. Opened in 1971 by the visionary Walt Disney, Disney World continues to grow to adjust to the entertainment needs of its growing market. When Disney World opened in Orlando in 1971 it featured only the Magic Kingdom. Today its 47 square mile complex also offers the Epcot Center, Disney's Animal Kingdom and Disney Hollywood Studios along with two water parks, 23 resort hotels and a large number of health and entertainment facilities. 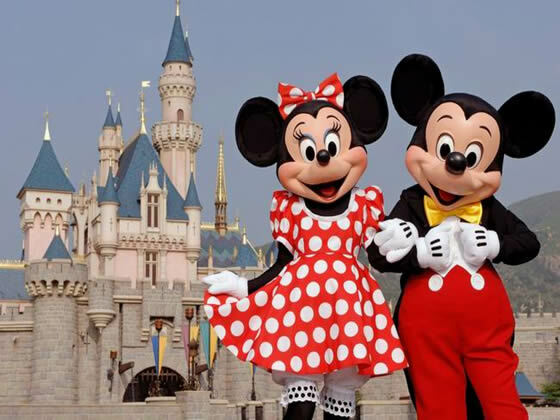 Mickey Mouse has been the iconic face of Disney World since its beginning. But Disney World is now much more than Mickey, Minnie, Pluto, Goofy and the gang. Disney World now offers a wide array of sophisticated entertainment choices designed to entertain and educate people of all ages. Through the Epcot Center Disney World helps people to imagine and interact with the future through science and technology. Disney's Animal Kingdom allows visitors to see, touch and interact with a wide range of animals. Disney World also uses this platform to teach about animals and their habitats and encourage visitors to be mindful and supportive of issues related to conservation and environmental sustainability. Disney's Hollywood Studios takes people behind the scenes of the movies. It helps them to understand the movie making process while making sure to not destroy the magic of it for their visitors. Most people come away from Disney Hollywood Studios with a better understanding of the movie making process. They also leave with smiles on their faces from having had a really good time. The visit exposes them to animatronic actors and gives them a peep behind the curtain to how movies are produced. The Magic Kingdom was the foundation of the Disney Corporation's Orlando, Florida experiment. The Magic Kingdom is one of the most recognizable symbols of Disney World. Its Cinderella's castle and it has long been an enduring and endearing icon for all things Disney. The Magic Kingdom allows children of all ages to interact with their favorite Disney characters. These characters walk the streets of the Magic Kingdom engaging visitors in conversation and sharing smiles and hugs. For many people the Magic Kingdom is the real Disney World where all their beloved cartoon characters live and breathe. Disney World has been wildly successful on a number of levels. It has made great impact through its mission to entertain and educate. It has provided millions of visitors with a chance to enjoy some of the most interesting and innovative rides. Children of all ages run through the streets of the Magic Kingdom interacting with the Disney characters they have known and loved all of their lives. The eyes of the children sparkle and their smiles beam when they get to hold hands with and talk to Mickey, Minnie, Goofy, Pluto and the rest of the Disney gang. Click here for great deals and offers on Disney World Holidays and Walt Disney World.